2011 was an important year for Stefan Wilson. It was his first time running a full season in the Indy Lights series. His success would earn much attention from top-tier teams. Wilson attracted the attention of Andretti Autosport, known for a history of dominance in open-wheel racing, due impart to founder and namesake Michael Andretti. Wilson’s first highlight race with Andretti Autosport was at Barber Motorsports Park. 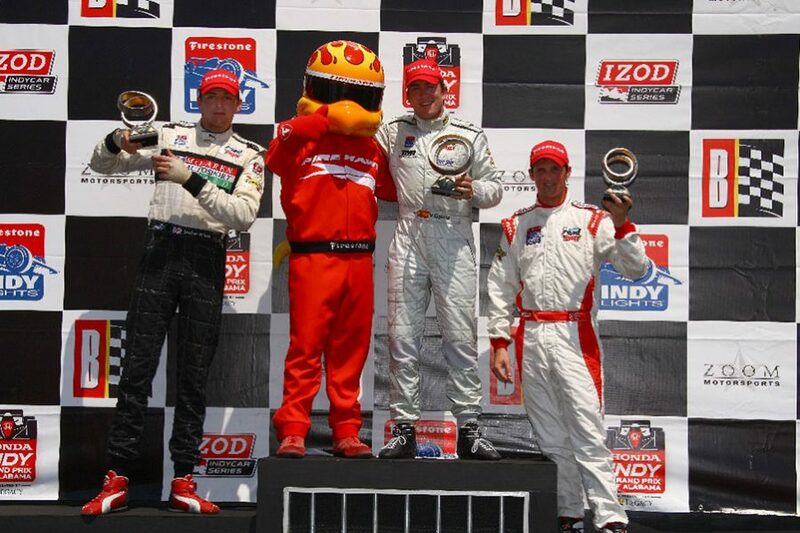 His collection of race experience over his two previous seasons, combined with the flawless engineering of Andretti Autosport, led him to his first podium finish in two years. Wilson started the race third and finished second, less than a heartbeat behind the race winner. On the second-to-last lap, Wilson saw he had a chance at taking the lead, but his opportunity at victory was outweighed by the risk on track. After being spun out in St. Petersburg, he passed up the risky move, settling for second and gaining points with a longer, more mature view. Wilson was eyeing a championship. “After getting caught in an incident in St. Pete, it was uplifting to get second because we started off losing a lot of valuable points right from the start,” Wilson said. “It was important to bounce back with a strong finish because of that.